﻿ W – The inseparable window! 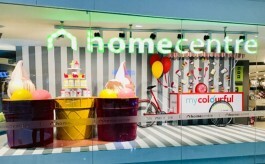 Home » Projects » Visual Merchandising » W – The inseparable window! W – The inseparable window! The fusion wear brand from TCNS Clothing, W recently introduced its Spring-Summer 2018 collection, The Inseparables, though an open window which gives visual access to its in-store VM representations, while the window design comprises an iron framework to hold multiple images. 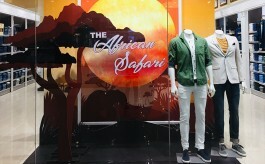 The window uses backdrop canvas to offset the images, while some windows incorporated digital screens too. To begin with, a partially open window gives a glimpse of in-store merchandising, which comprises use of LED-lit life-size boxes. Further inside the store, creatives have been used to magnify the essence with the trend highlighted through the focal point of the store. The in-store display also uses different temperatures of lights to emphasize on the latest trends. Red and black coloured acrylic has been used to highlight the campaign name – Inseparables.